Last year during the summer, I joined the Junior Internship Program at (Institute name, e.g., District Revenue Authority). The 30/60/90 days internship was a great and different experience for me. (Describe in your own words). I along with the other interns got to learn a lot of things. We attended seminars, went to famous public places to spread awareness among the masses and made projects. The internship also allowed us to socialize with our other age fellows. 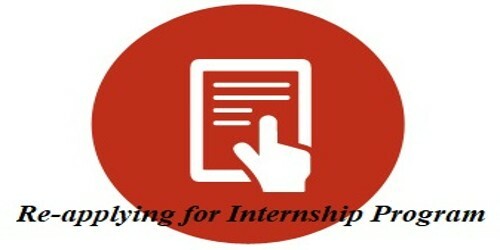 I have heard that there is a new internship program introduced by (District Revenue Authority) this winter. As I am done with my BBA/MBA/A level (Degree type) and am currently on a gap year, so I have a lot of free time. Instead of wasting it, I want to do something productive. (Explain the actual cause and situation). I am sure that this experience would teach me new things and will further enhance my thinking, communication, and social skills. Furthermore, this will also benefit me by improving my profile for university applications. I assure you that I will prove to be a disciplined intern and put maximum input in the projects and tasks allocated. (Explain all about your plan). I have attached the filled form of internship along with my resume. (Cordially Describe your requirements). I hope you consider my application for this internship. I would be very grateful to you. I hope you are doing well. I am writing this letter with a humble request to allow me to apply for your company’s internship again. I applied for your internship a month ago, however, due to some unfortunate circumstances, I was not able to avail that opportunity. (Describe in your own words). I was accepted for the program but I had to leave for (City name) as my mother was not feeling well. Since I am the eldest son and all my other siblings live abroad I was the only caretaker of my mother. (Explain the actual cause and situation). I got an email last week that you are accepting applications for another one of your internship programs and I am very eager to apply. You have a strict policy when it comes to accepting the same interns again and again. (Explain all about your plan). I hope you will acknowledge my situation and make an exception for me. (Cordially Describe your requirements). I will be waiting for your response.